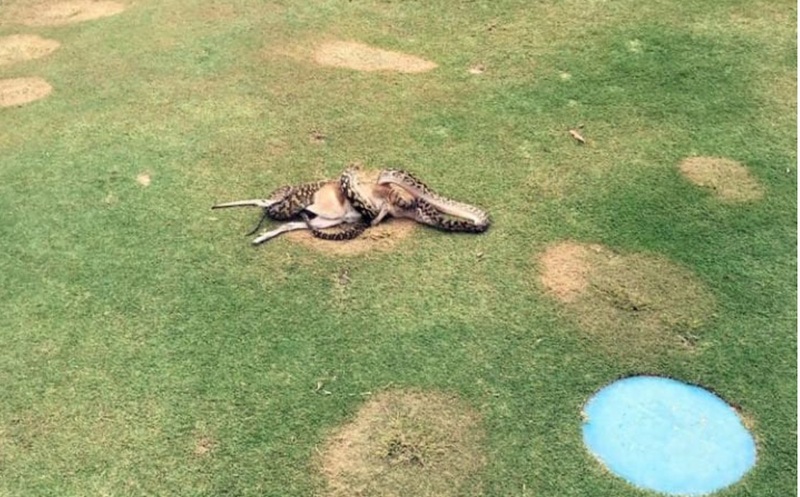 Golfers at the Paradise Palms course in Cairns, Australia got a nasty shock on Sunday when they spotted a giant python eating a whole wallaby on the fairway. “It had (the wallaby) in a vice-like grip and it was swallowing it." He took some photos of the snake eating its dinner before carrying on with his round. 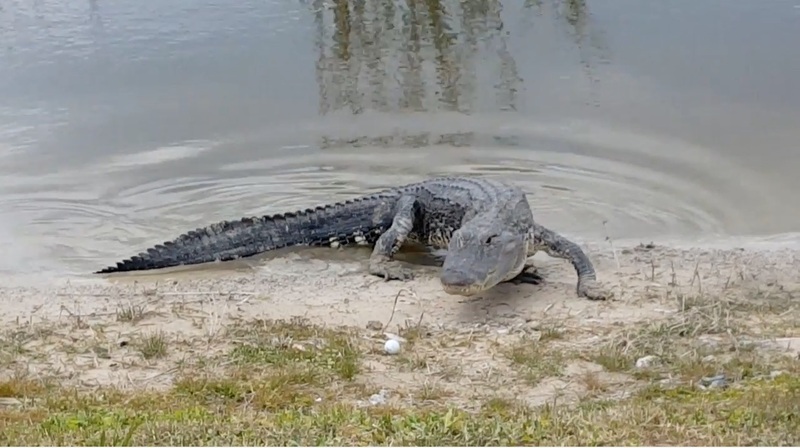 “I heard later on… as other golfers and staff members came out to have a look at it, that it did actually succeed in swallowing it all and then it rolled into a dry creek nearby and slithered away into the bush, probably to digest its rather large meal,” he said. 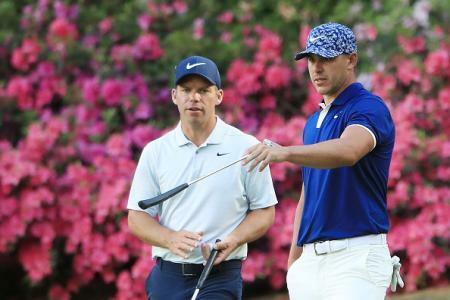 “There’s a lot of wildlife in the tropical north,” Mr Willemse added, noting that wallabies were a common sight on the course, although snakes were not. Mr Willemse said the snake most likely dropped onto the marsupial from a tree. 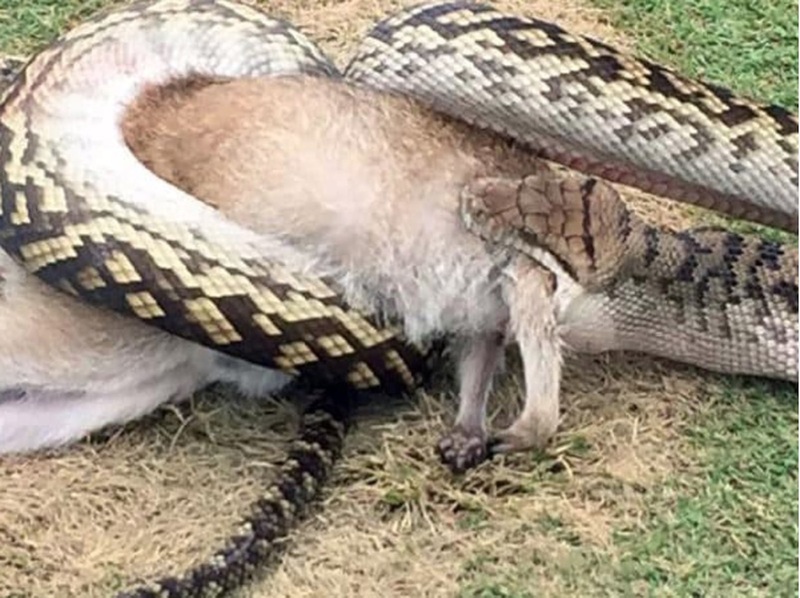 “The snake would never have been able to catch the wallaby in the open like where it was eating it,” he said.